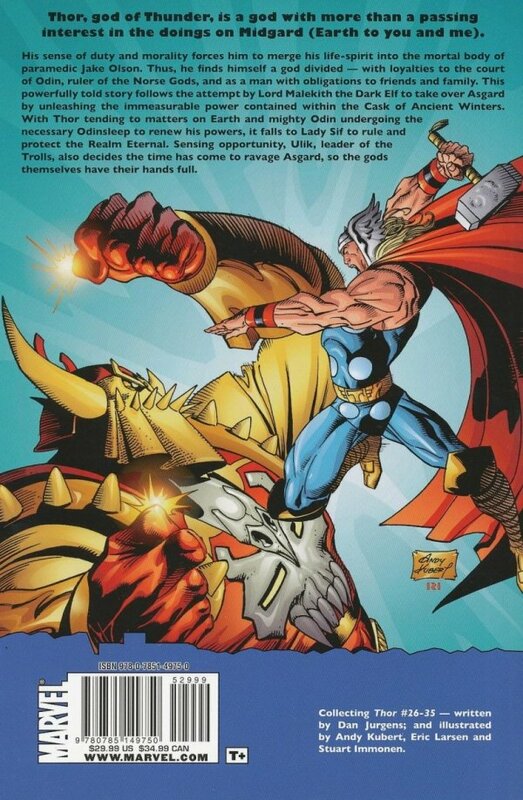 Thor, god of Thunder, is a god with more than a passing interest in the doings on Midgard (Earth to you and me). 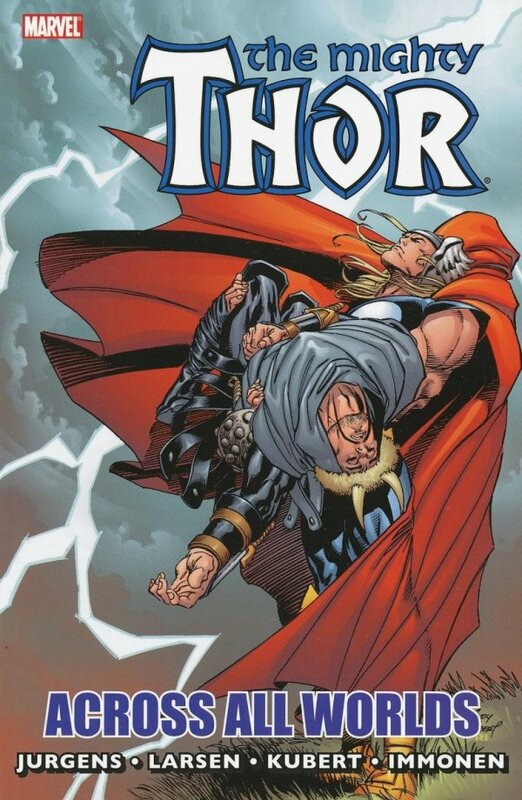 His sense of duty and morality forces Thor to merge his life-spirit into the mortal body of paramedic Jake Olson. Thus, he finds himself a god divided, with loyalties to the court of Odin, ruler of the Norse Gods, and as a man with obligations to friends and family. This powerfully told story follows the attempt by Lord Malekith the Dark Elf to take over Asgard by unleashing the immeasurable power contained within the Cask of Ancient Winters. With Thor tending to matters on Earth and mighty Odin undergoing the necessary Odinsleep to renew his powers, it falls to Lady Sif to rule and protect the Realm Eternal. Sensing opportunity, Ulik, leader of the Trolls, also decides the time has come to ravage Asgard, so the gods themselves have their hands full.